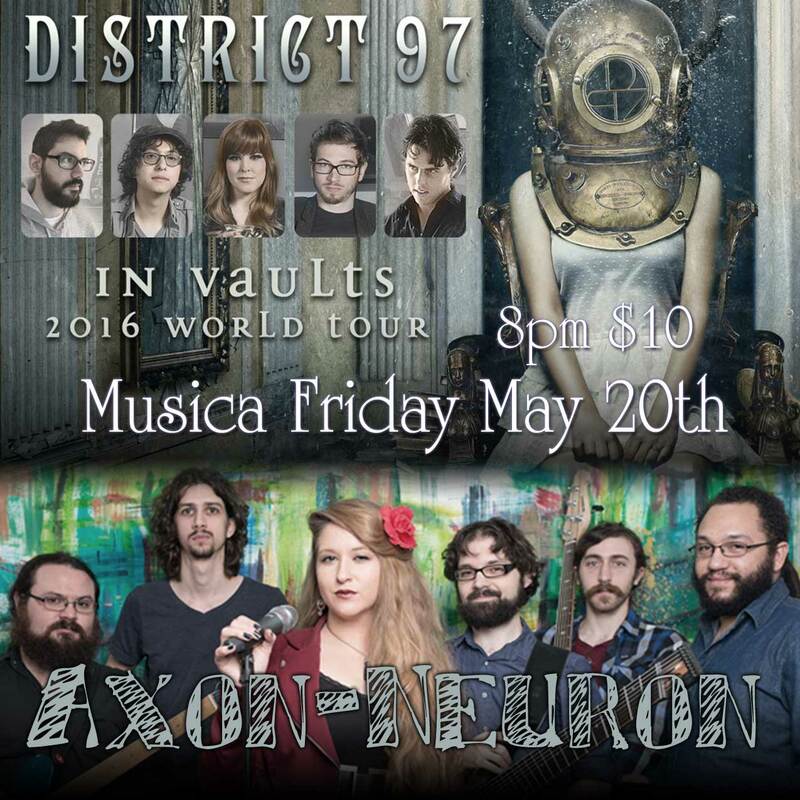 This Friday, May 20th, we'll be hitting the stage at Music in Akron with an excellent band from Chicago, District 97. Also joining us will be Tiles from Detroit and Figurehead from Akron. Come check it out! Show announcement! 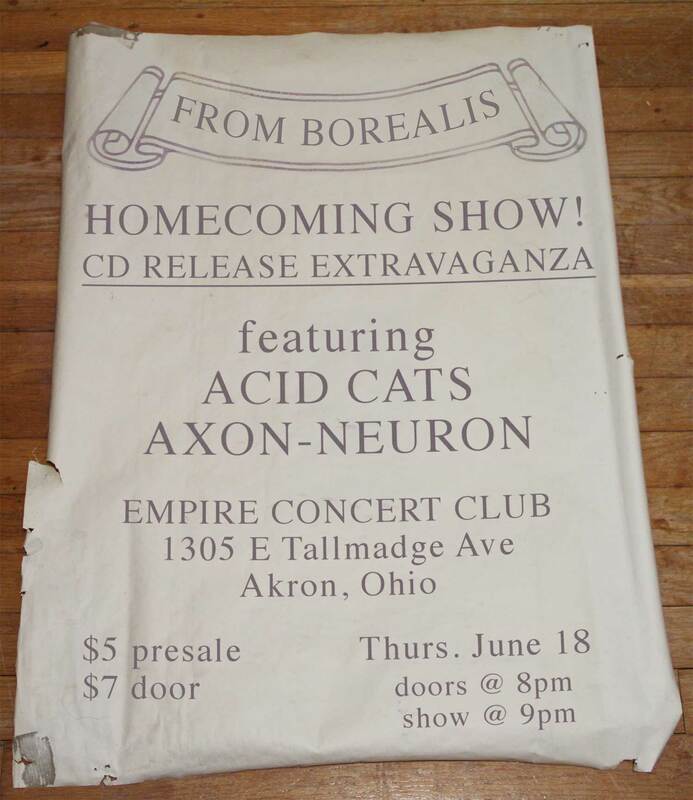 Fellow Akron band From Borealis has just released a new EP, "Super Kid," (Bandcamp), and will be having their release show on Thursday, June 18th, at The Empire in Akron. Also playing will be the Acid Cats. Back in January, after our video shoot at Wolf House, we sat down on their couch and did an interview. We chatted about the band's history, members, thoughts of making music, and upcoming plans. If you head over to our "bio" page, you can listen to the podcast via the Soundcloud player. Welcome to our brand new, fancy website! After many, many long hours of writing css, php, sql, and html, and much pulling out of hair, the new axonneuron.com is ready for launch! (What kind of prog band would we be if we didn't geek out and code our own site?) The site is fully mobile-friendly, so try it out on your phones, tablets, etc, in various screen orientations. Please, we'll wait here while you do it... See, wasn't that fun? Look here for future posts regarding shows and our upcoming album, Metamorphosis. Or, click on the links at the bottom of the page to follow us on various social sites to get your updates there. 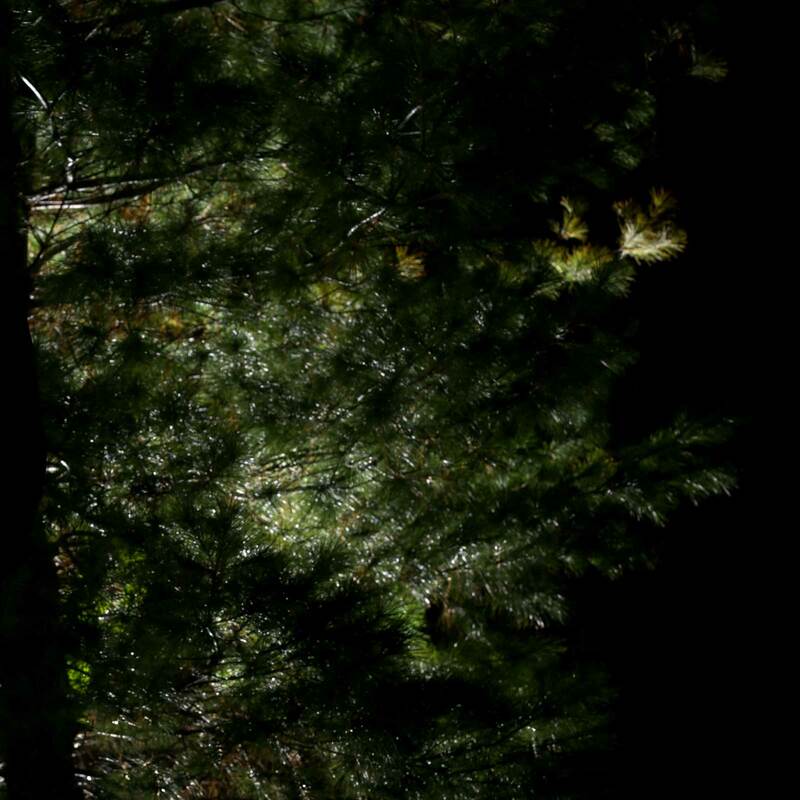 We're looking forward to a lot of exciting things in 2015!